This story includes information for fitness tech startups & entrepreneurs. Curated four important features from Runkeeper that startups can consider during health and fitness apps development. Embarking with a new fitness program or diet plan can be tough for many. Due to a lot of hurdles associated with these health and fitness programs, there are some powerful substitutes for this. In short, technology can help to solve all such issues. Health and fitness mobile applications provide a ton of convenience and effective health programs at people’s comfort zones. Well, there is a very famous GPS running tracker app named Runkeeper that provides the one-stop solution for all needs of fitness enthusiasts. 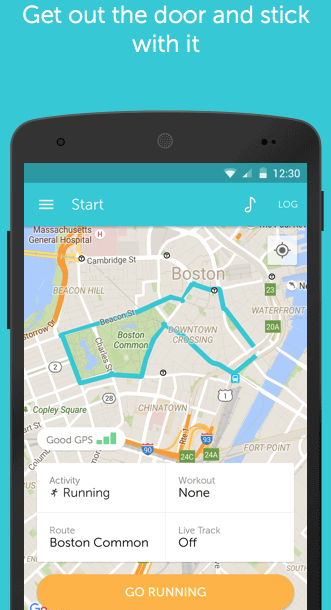 Launched in 2008, the GPS fitness-tracking app, Runkeeper, has over 50 million app users. 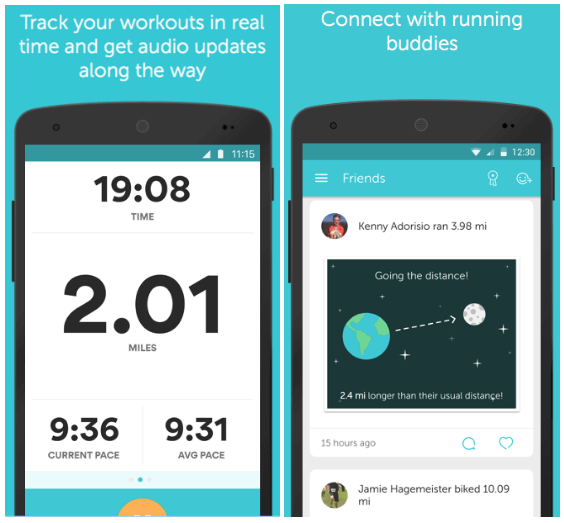 In 2011, Runkeeper app has secured $10 million in Series B round of funding, led by Spark Capital. In February 2016, Runkeeper app was acquired by ASICS (Japanese multinational corporation). They can keep track of how run improves over time. They can run with a specified program like a popular 5k training program. Allowing their friends to send them encouraging messages while running. Runkeeper app allows its app users to track various fitness activities like walking, running, and cycling by using GPS. Also, it allows app users to see detailed statistics around their distance, pace, and time. 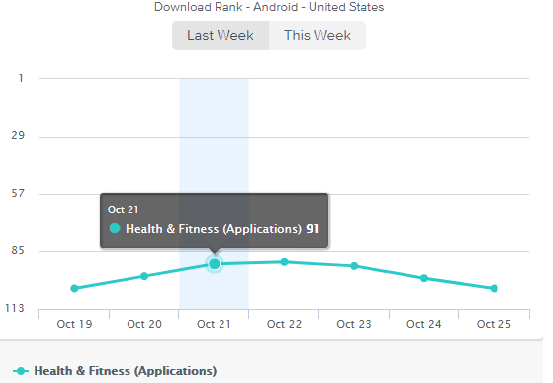 According to the report from Similar Web, currently, the Google Play rank of Runkeeper app is #121. As per the report from App Annie, the download rank of Runkeeper app lies between #103 to #91. 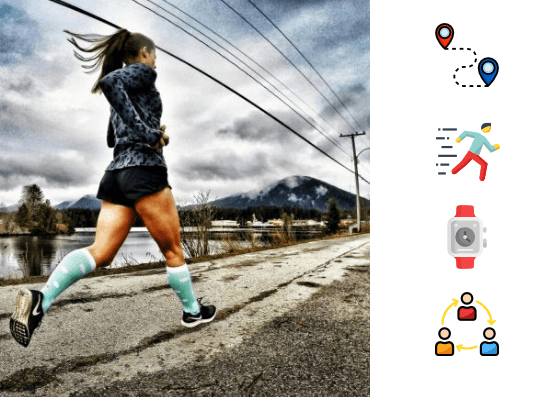 Being a fitness tech startup or entrepreneur, if you are planning to create GPS running tracker app like Runkeeper, then you need to consider the following important features during fitness app development. We are going to talk about one of the important features, which fitness startups need to consider during fitness app development. It is important to assist your app users with the following things as they can track statistics, goals, and progress. With this feature, you can allow your app users to keep track of their goals to stay connected with the app. Apart from this, app users can maintain their health records and measure health rates. You just need to keep in mind is that you need to allow your customers as what they have not yet obtained from other fitness apps. In addition, app users can track performance over by viewing the detailed history of activities, notifications, their “best performances”, and milestone progress. Furthermore, with the live tracking feature, your app users can share their locations with friends, and they can track them in real-time. During fitness apps development, this is one the unique yet important features to consider to stand apart from others. You need to consider a feature that makes your app stand out from the crowd. So, the next feature is to provide users with audio cues. Or, we can say, motivating voice, which can customize to relay users’ pace, distance and time. To motivating your app users, it is important to provide features, which keep them updated throughout their running sessions. So, allowing your app users to create custom challenges, invite friends, track each other’s progress, use the chat to cheer each other. If you would like to create the best fitness tracker app like Runkeeper, then such feature is highly recommended for you to consider during workout apps development. The next important feature, which you need to consider is social media integration. It is important for your users to upload activities and share them with their friends on diverse social media platforms like Facebook and Twitter. It is essential to offer an online platform to log in their social media accounts through their emails. You can also consider privacy if your app users do not want to share their activities with their friends. In addition, such feature will also help app users to share their achievements with others by using the fitness app. 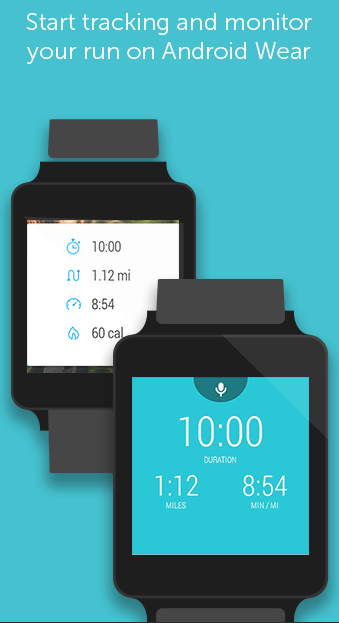 The next essential feature is to allow your app users to connect with wearable devices like smartwatch. Before developing GPS running tracker apps like Runkeeper, you need to keep in mind is that there is no need for health and fitness app, which could not be connected to wearable devices. 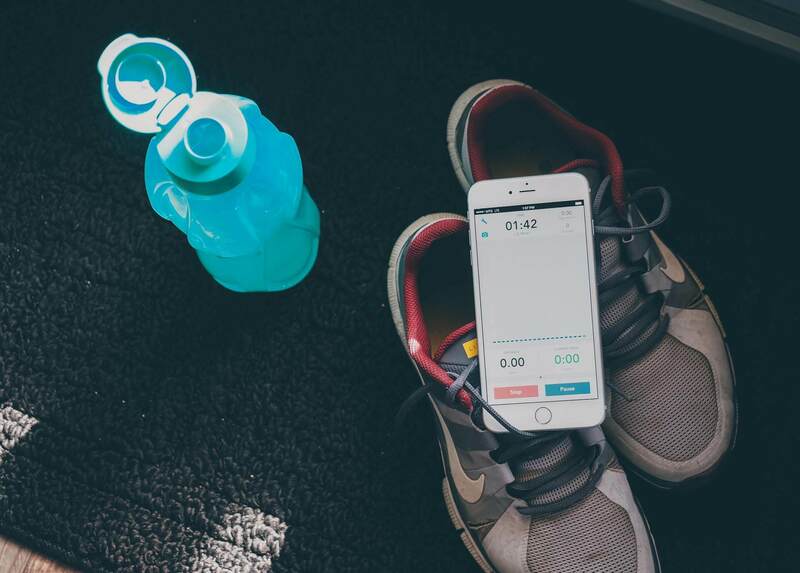 Being a tech startup or entrepreneur, all you just need to keep an eye on these features while developing successful fitness app like Runkeeper. Do You Have Fitness App Idea, Which Helps Users to Stay Healthy? 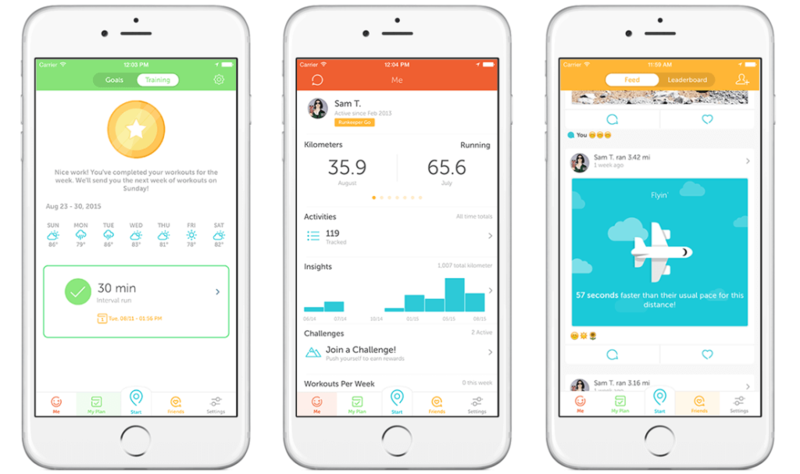 We’ve just outlined the important features of the fitness app, which you can consider while building workout apps or GPS running tracker app. Remember, the purpose of considering these features is to provide your customers or app users with value-added features that can change their lives. If you are eager to cross-verify your app idea based on fitness or GPS running tracker app, then you can discuss it with us as we’re a leading mobile apps development company. We’ve already developed over 70 health and fitness apps along with different features and functionalities like geolocation, social media integration, multi-lingual support, payment gateway integration, cross-platform ability. In case, if you still have any query or confusion regarding app development cost breakdown of workout apps or gym workout apps, fitness app developers, an average cost of developing an app or calorie counter app development, then you can get in touch with us through our contact us form. One of our sales representatives will revert to you as soon as possible. The consultation is completely free of cost. This page was last edited on February 4th, 2019, at 9:20.